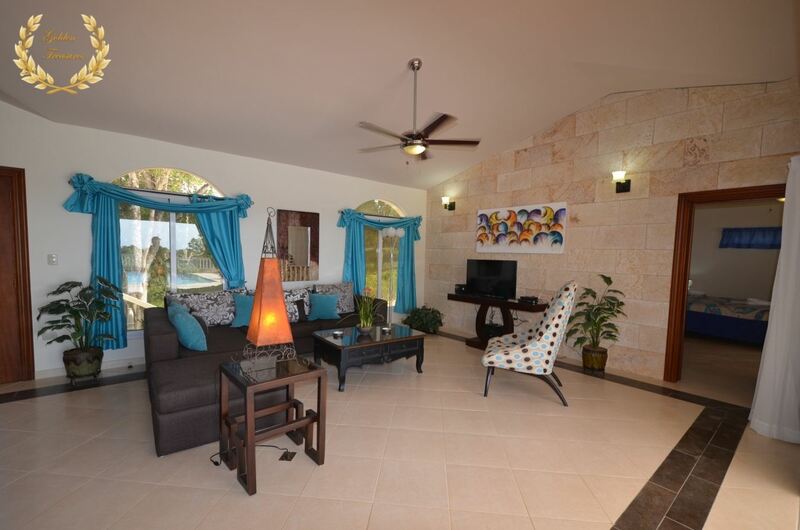 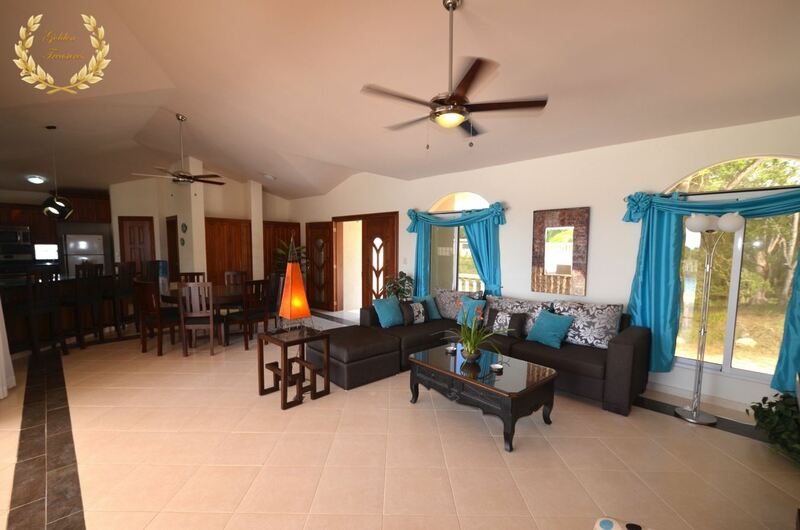 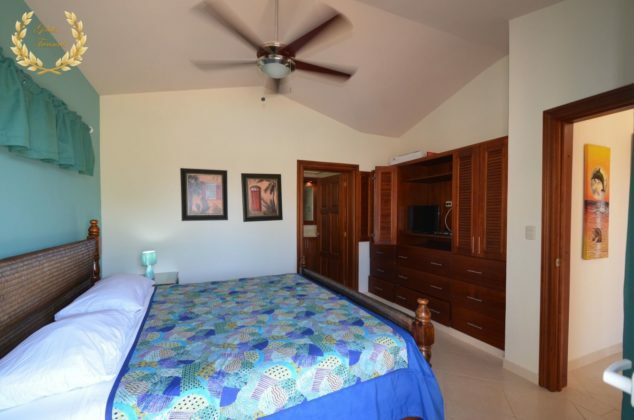 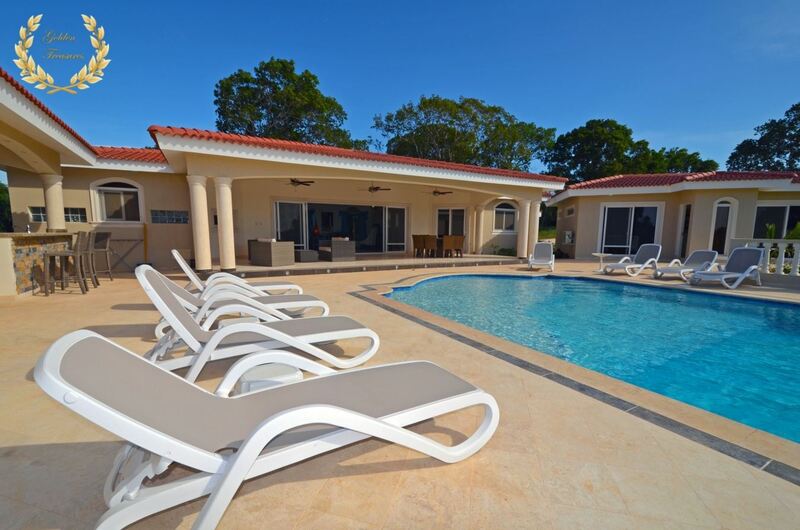 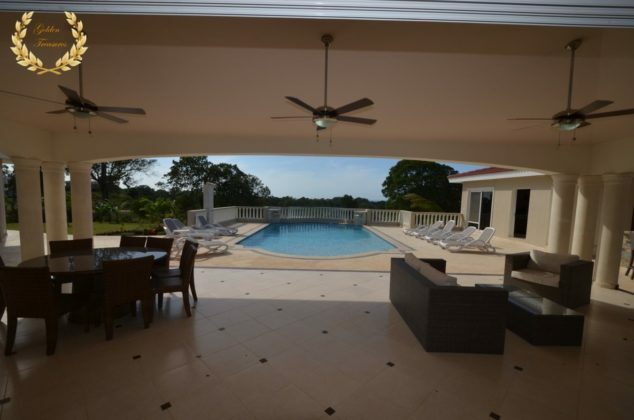 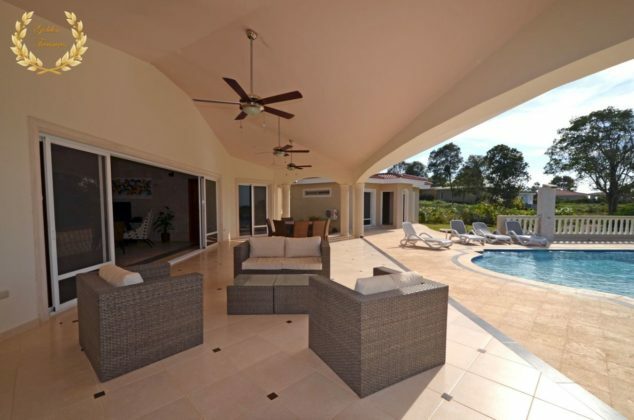 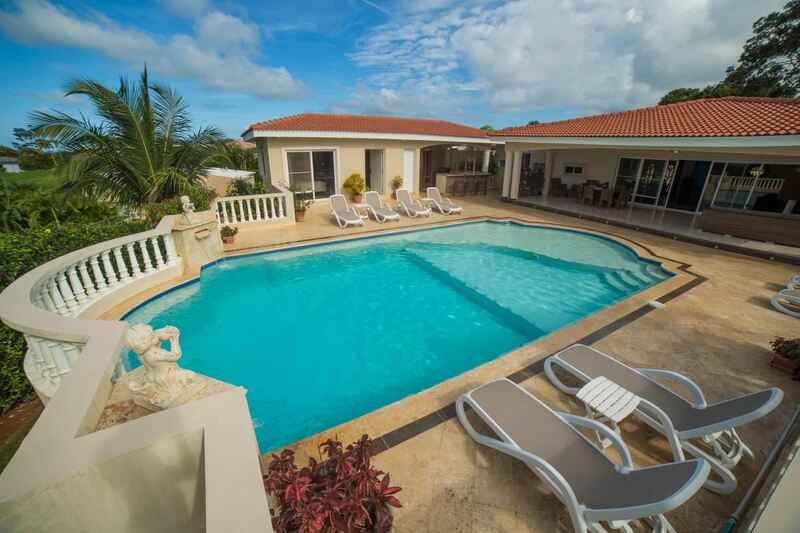 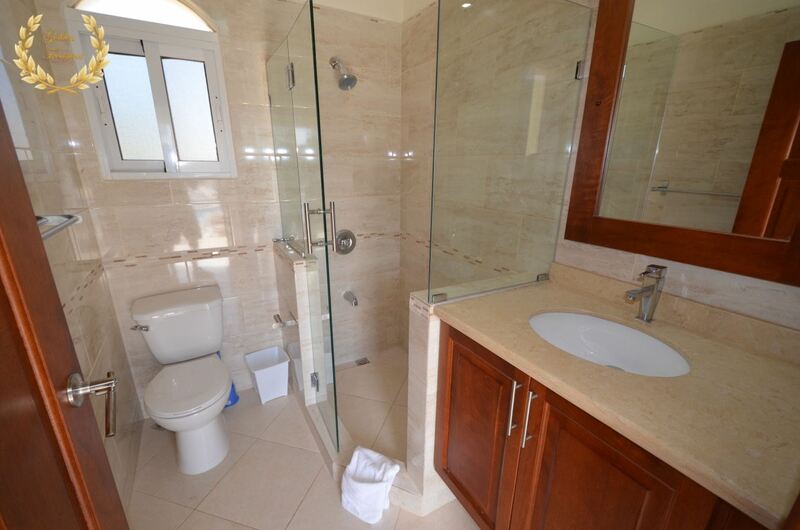 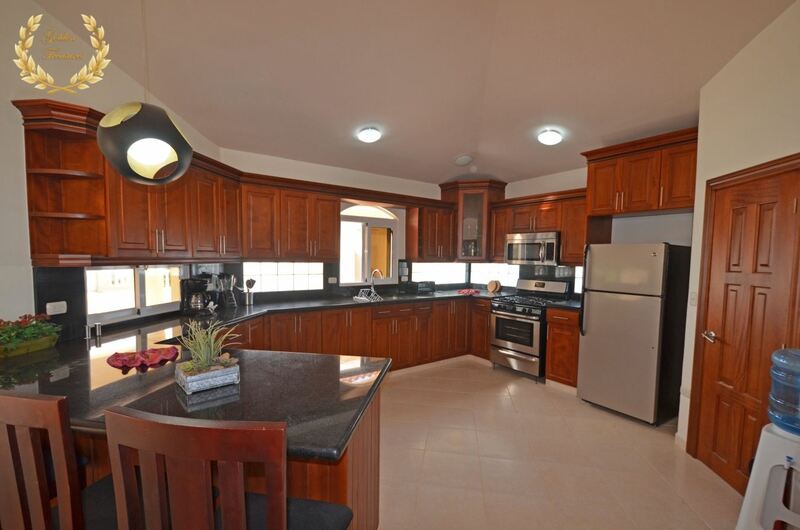 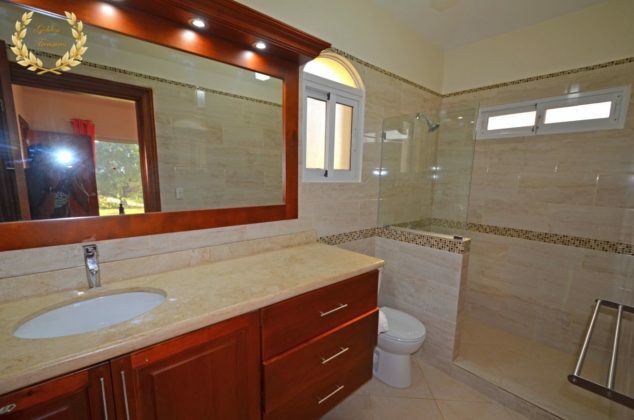 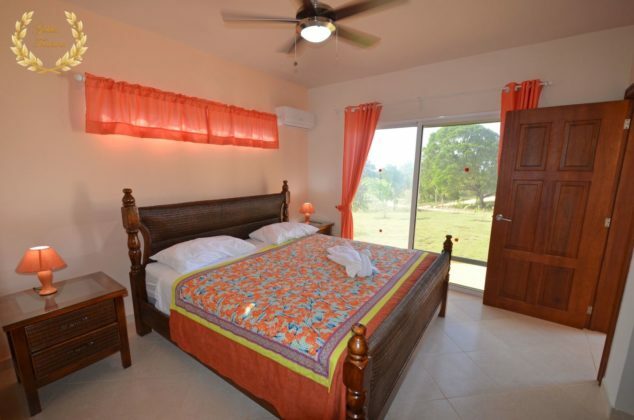 One of the top rental villa models in Sosua, this 4 bedroom, 4 bathroom Ultima has a flashy style of great proportions. 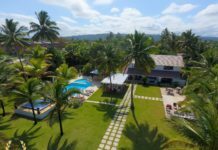 The main villa has a large living room that opens to a terrace with vistas that include ocean and green areas, and a fantastic swimming pool with a coral stone deck and modern chaise lounges flanking the pool left and right. 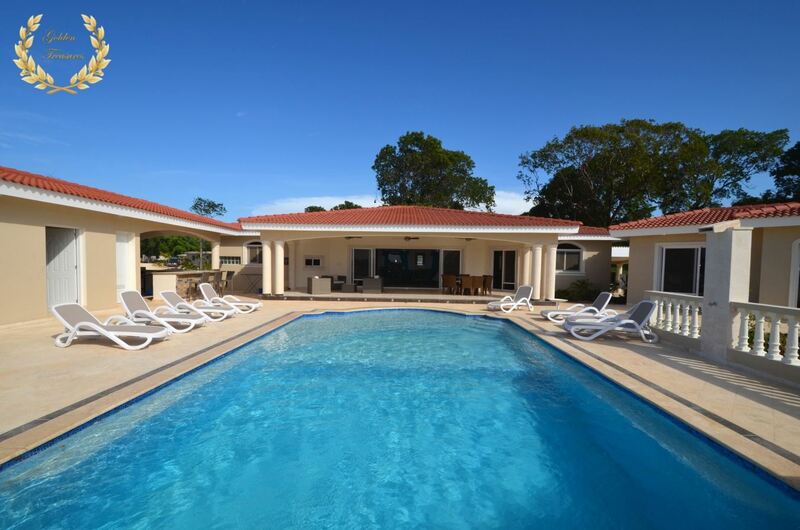 There are three suites by the pool and the main one inside the villa, for added privacy and convenience; An outdoor kitchen in the bar lounge complete with BBQ, and a dining table under the great veranda from where parents can watch their kids in the swimming pool. 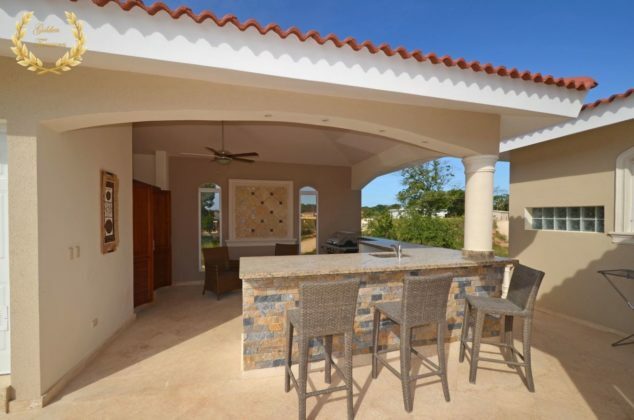 The villa kitchen is pure contemporary style, with a dining table right next to it, and completely equipped with optional chef service if requested. 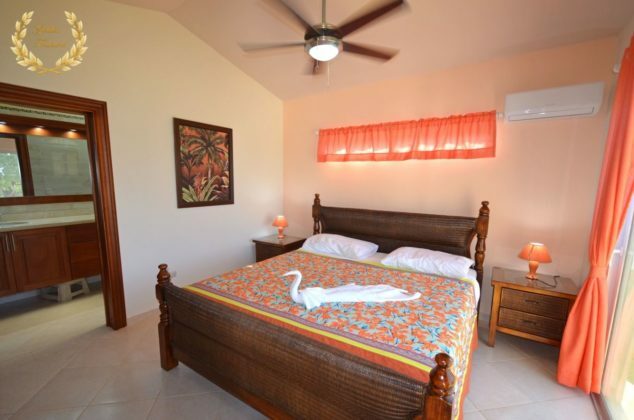 The rental includes daily maid service, TV in each suite, WiFi, back up power and security within the gated community. A private driver, spa services and tours can be arranged through the concierge. 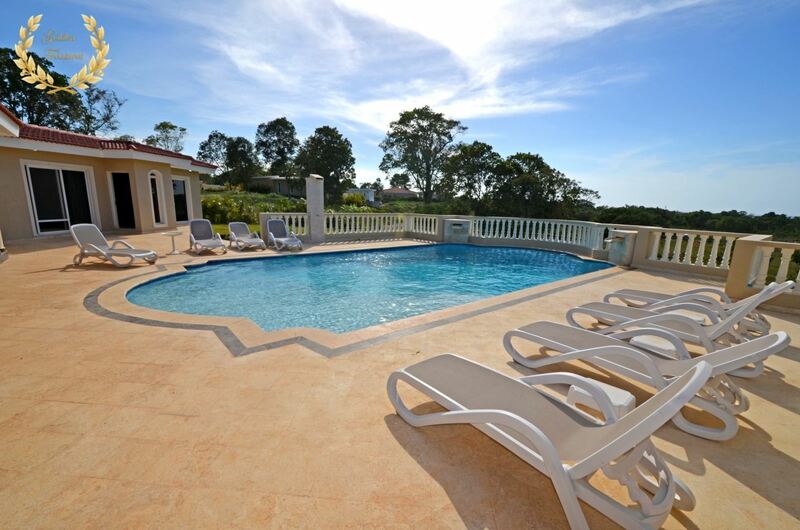 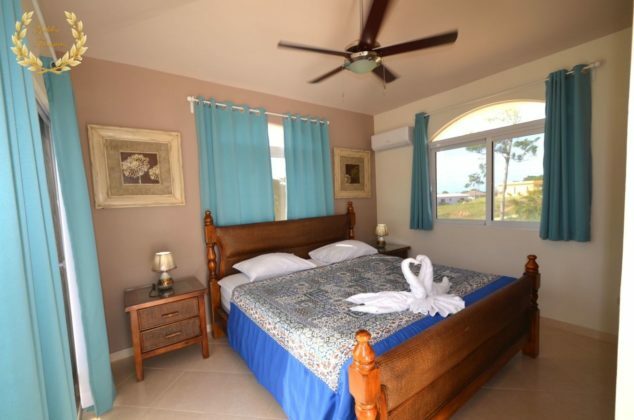 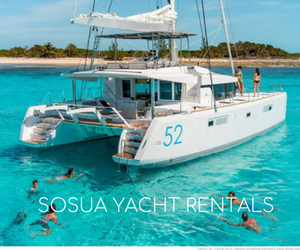 The villa is just a 5 min drive to the center of town in Sosua, and a 10 min drive to POP airport.